Dried chilies are a permanent fixture in my cocina. The world famous Chile de arbol my small town is known for, smoky chipotles, and the guajillos that add vibrant color to every dish, are just a few of the chilies I keep in my pantry, along with my faves, ancho chilies. Ancho chilies are dried poblano peppers. Poblanos are my favorite fresh chile pepper, so it's makes sense that anchos would be my favorite dried chile. 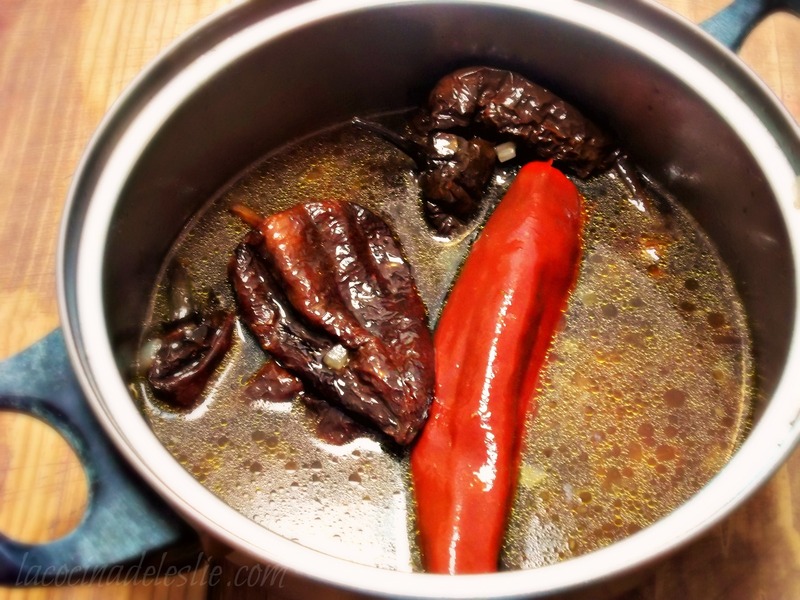 I use ancho chilies to make salsas, moles, and as the base for many a soup where they play a supporting role to an ensemble cast of ingredients. But sometimes I just want the chilies to shine all on their own like in this Cream of Ancho Chile Soup. It's smooth, vibrant, and spicy! If you like Tortilla Soup, then you're going to love this Cream of Ancho Chile Soup! You get the same flavorful broth without all those extra add-ins to distract you from the flavor of the ancho chilies. 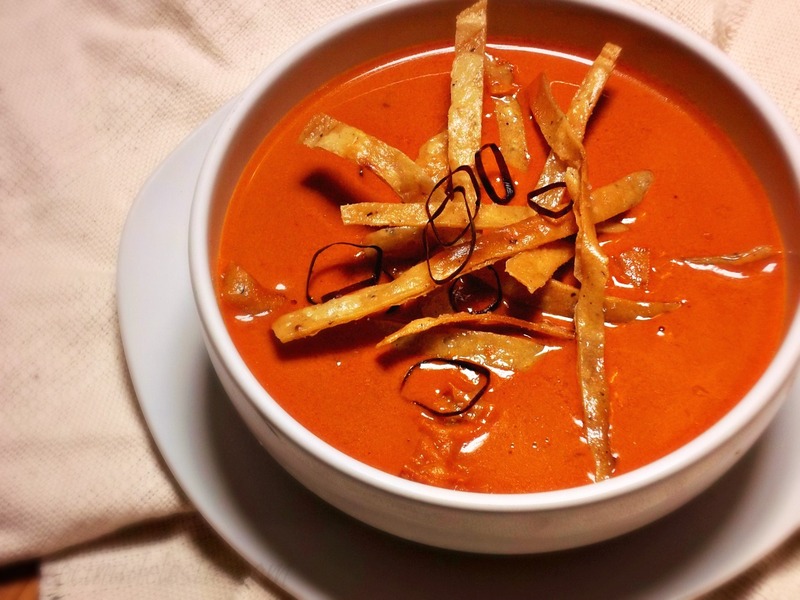 Actually this soup makes an excellent base for a spicy tortilla soup. Just add some chicken, cheese, and avocado, and you're all set. Heat 2 tablespoons of vegetable oil in a medium saucepan over medium-high heat. Saute the chopped onion for about 1 to 2 minutes, until it turns translucent. Add the dried chilies and minced garlic and saute for another 30 seconds. Pour in 3 cups of the chicken broth and bring to a boil. Reduce the heat to low and let simmer for about 10 minutes; let cool slightly. Remove stems and seeds from the chilies. 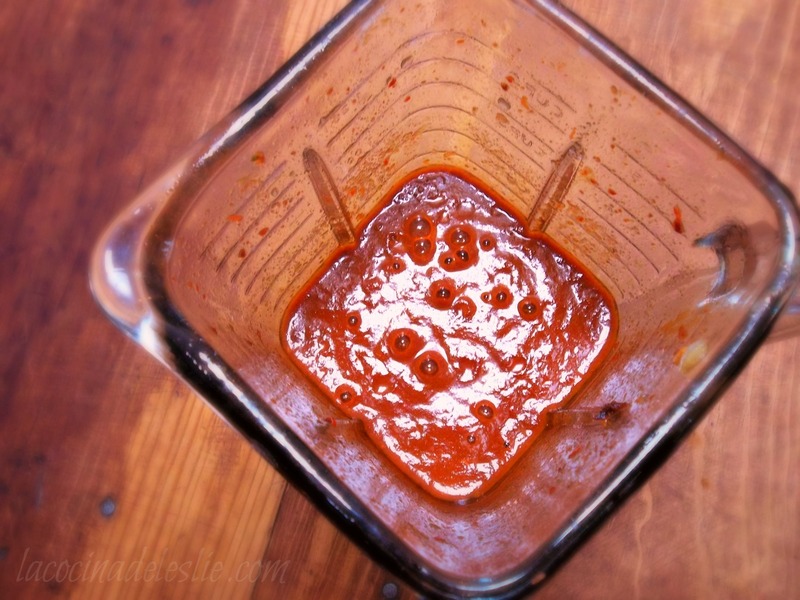 In a blender or food processor, puree the chilies with the onion, garlic, and chicken broth they were cooked in. Strain the chile puree into the same saucepan they chilies were cooked in, along with the remaining cup of chicken broth. Season with the ground cumin and a little salt. Bring to a boil over medium-low heat. 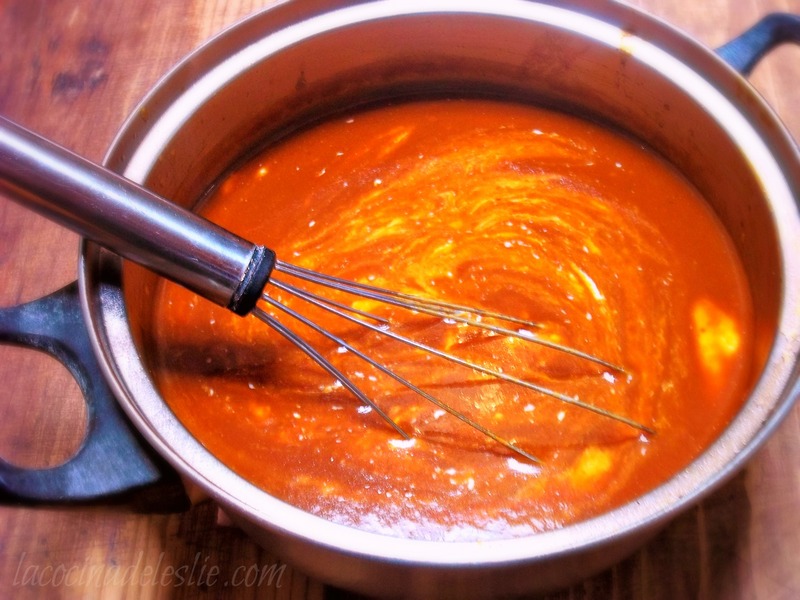 Reduce heat to low and stir in the Mexican crema. Let simmer for about 5 minutes. Ladle soup into bowls. Garnish with fried tortillas strips or croutons. Enjoy!!! For more super soup recipes, check out all of these wonderful soup recipes my #SundaySupper friends have cooked up for you this week. Join the #SundaySupper conversation on Twitter on Sunday, February 24th to share your favorite soup, stew, chowder or bisque recipes with us! We’ll tweet throughout the day and share recipes from all over the world. Our weekly chat starts at 7:00 pm ET and you do not want to miss out on the fun. Follow the#SundaySupper hashtag, and remember to include it in your tweets to join in the chat. Check out our#SundaySupper Pinterest board for more fabulous recipes and food photos! 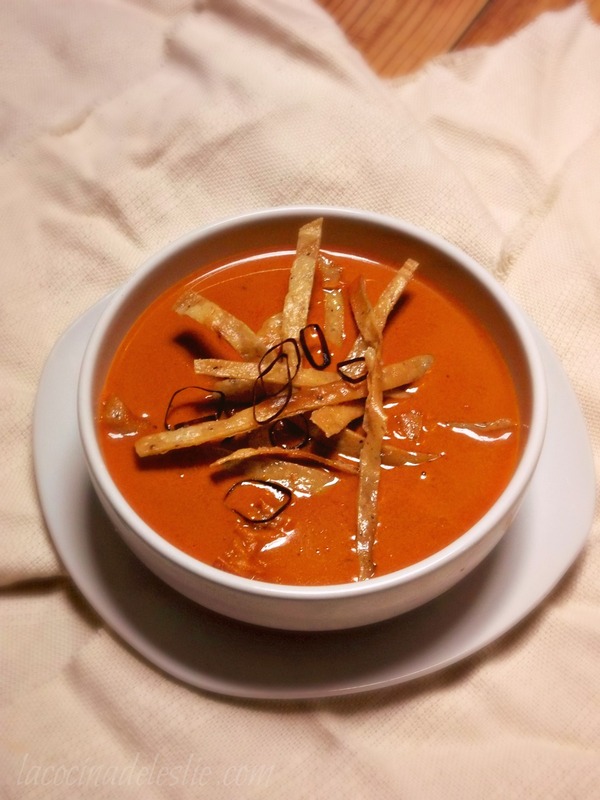 This is an unusual take on a chile soup. Never seen anything quite like it. I love the depth of ancho chiles, though, and will certainly try it. Pretty photos too! I think you made this soup just for me! I have to make it! I am a spicy pepper freak!! Oh my heavens does that look good. I so would love a bowl of that right now!! 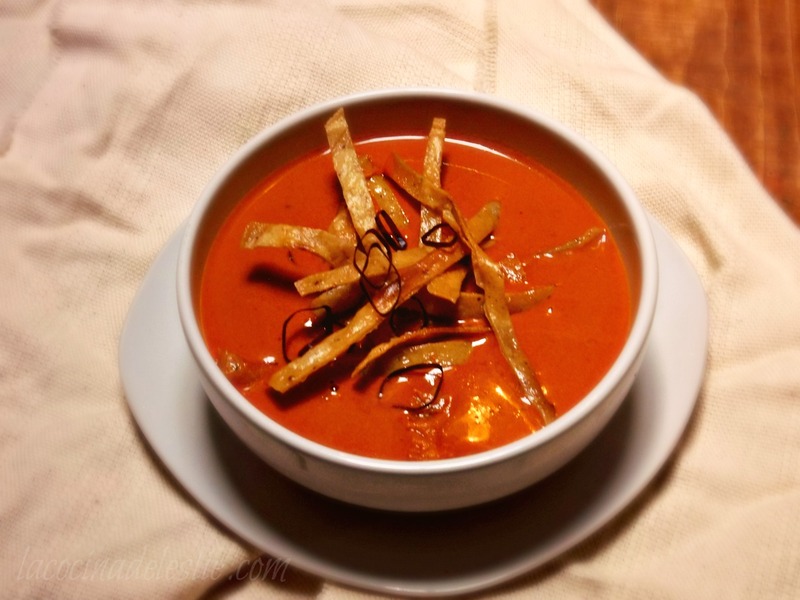 Dried chiles are a staple in my kitchen too - this soup is perfect for me. I throw them in all kinds of soups, but have never made them the star of the soup. Pinning!! I love poblanos too. I am going to have to make this soon! I just discovered your blog, and I loooove it! I just started following you on Twitter, and am excited to read more of your recipes. A friend of mine just gave me a whole bunch of dried chilies. They were chilies they grew in his garden last summer and he dried them. I've been looking for the right recipe to use them and I believe I have found it! Thanks for sharing it for #SundaySupper. Gorgeous soup, I'm thinking it might be too spicy for my tastes, but I could figure out a way to tone it down. 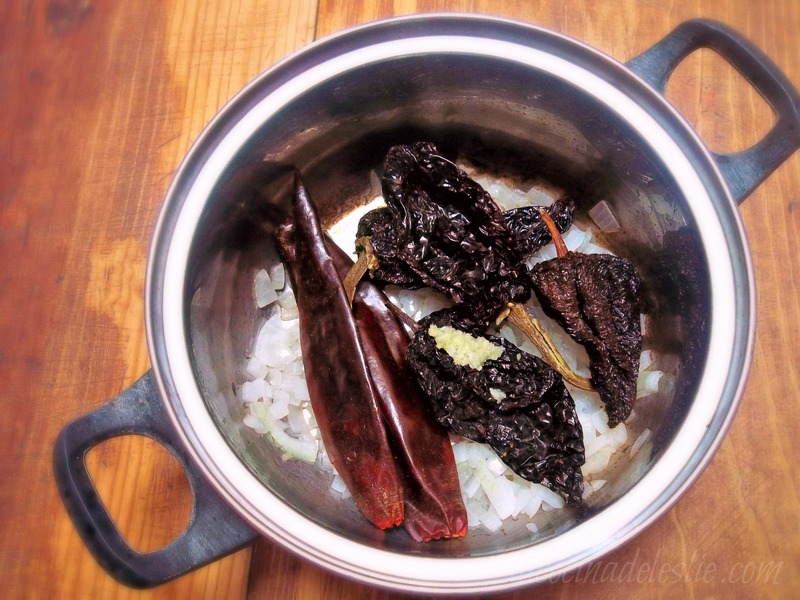 I'll be making a pot of this this weekend - anchos are one of my favorite dried chiles. I can almost smell it from here! I love dried ancho chilies. You can't buy them here so I can't wait to stock up next time I am in the US. This soup sounds amazing. Yum! this sounds awesome and I bet makes your home smell wonderfuL! oh my goodness! this soup looks amazing! and spicy! Love it! Leslie, have I ever told you how much I love you! Oops, that sounds awkward coming from a stranger. I mean, I love your blog. And this post. Making this TONIGHT. 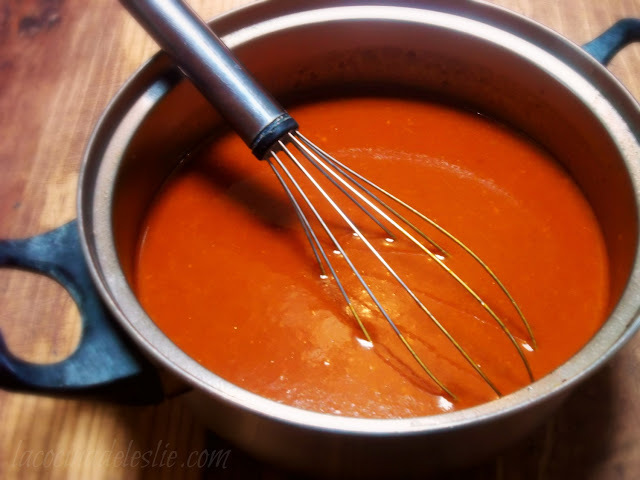 And pinned this post, what a great roundup of soupsyou have going on here. Yumyumyum. I can tell just by looking at the pictures that I would love this soup.